What does Purdue Extension do to move Indiana forward? What comes to mind when you think of Purdue Extension? Agriculture and natural resources? Maybe Indiana 4-H? Right on both counts, but perhaps you don’t know how #PurdueExtension helps build health coalitions statewide. Or how we’re revitalizing economic opportunity in Indiana’s rural regions, helping immigrants acclimate to life in our state, or offering parents programs that build confidence and strengthen families. 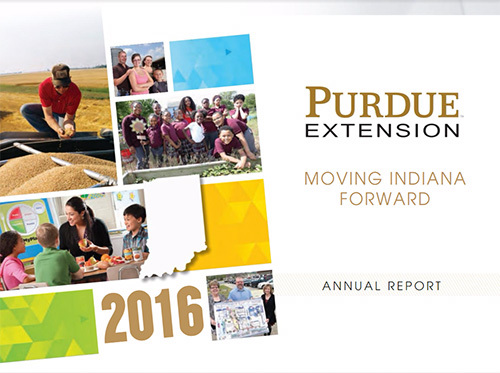 Learn about all of this and more in the 2016 Purdue Extension Annual Report!